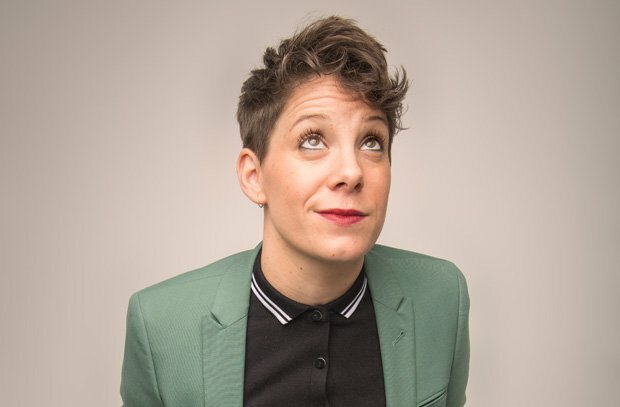 Having earned her stand-up stripes supporting the likes of Romesh Ranganathan, Joe Lycett and Josh Widdicombe on tour, Suzi Ruffell is now hitting the nation with a new show about her inability to stop worrying. The new show, Nocturnal, is about your tendency to fret. What is your general level of worrying? Being a worrier is a trait in my family. And it gets passed on. My mum was terrified of spiders when I was a kid, and I am now terrified of spiders. In the show, I wonder whether the world is getting better or worse, so I've been looking up about plastic and how bad wrapping paper is and worrying about all that. And there are smaller things that go around my mind, like making sure I had time at Christmas to do nice stuff with my mum. And then there are the classics, like dying and not having a pension. So do you find it difficult to leave your woes behind on stage? Doing a show about heartbreak [2017's Keeping It Classy] actually made me feel better. Turns out that doing a show about my anxiety has only confirmed that I'm absolutely right to wake up in the middle of the night and worry about things. When I was a teenager I used to think that when I got to 30, I'd have it all worked out. I'd say that I probably know less now. You appeared on Comedy Central's Roast Battle ripping apart comedy chum and podcast partner Tom Allen. How easy was it to tear into your mate? If I had a massive secret I'd be a bit worried about doing something like that because you don't know what the other person is going to say beforehand. But my stand-up is so confessional that there was nothing that Tom could say that people didn't know already. You get used to fine-tuning your material to be on something like Live At The Apollo, but when you do a show like Roast Battle, you're doing new jokes live on telly in front of Katherine Ryan and Jimmy Carr, and you just don't know how it's going to play in the room. Nine times out of ten you're right about your material but then there is the odd one when the audience go, 'no it's just you that thinks that'. So, then it becomes therapy rather than comedy. Do you have any long-term comedy plans? I have ambitions but having plans doesn't really work. That's something I've learned from this industry. I've done bits of acting and bits of other stuff, but touring and live stand-up are the things I love. Having supported Josh, Romesh and Joe, I've played some of those rooms that are 1200 seaters and a bit bigger. Those sort of rooms are small enough to make it feel intimate but big enough to make it feel like an event. Headlining those old theatres and going in people's diaries six months in advance: that's the dream for me. Suzi Ruffell: Nocturnal is on tour until Saturday 25 May. Comedian Suzi Ruffell discusses her anxiety over everything from human rights to her cat's quality of life.